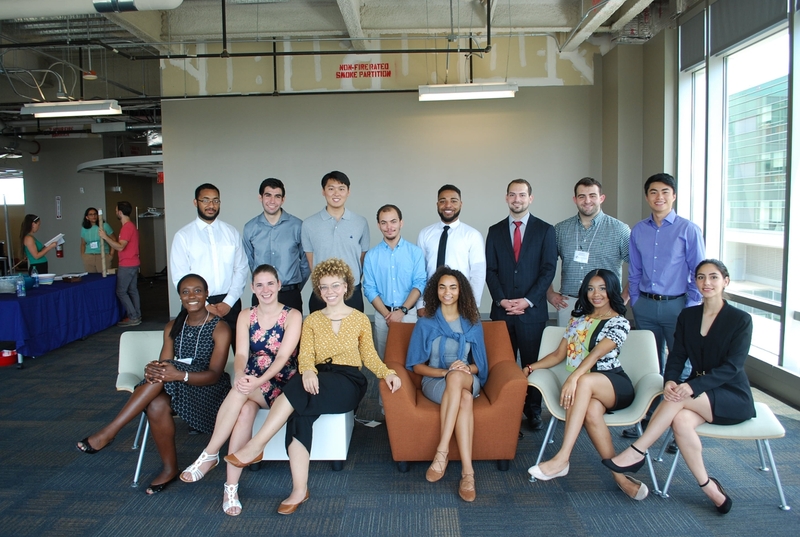 Over the summer, Alexis Stokes, a junior in the College of Sciences and Mathematics (COSAM) attended a 10-week program at Duke University in the Department of Pathology. 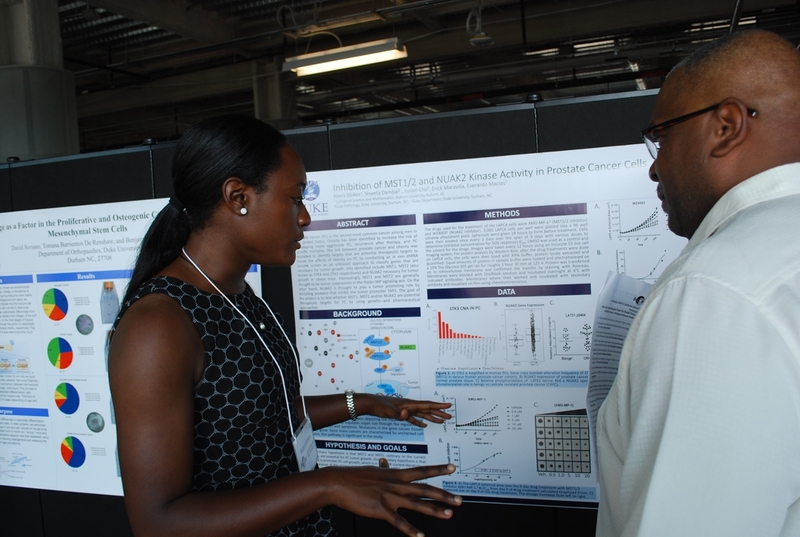 The program provides students with hands-on research experience with her work focusing on prostate cancer treatments. For Stokes, a biomedical sciences, pre-med major, this was her first research experience and she enjoyed the entire program, especially presenting at the symposium. She also was impressed by the level of collaboration within the Duke Cancer Institute Research Laboratories. Stokes applied for the all-expense paid program through the advice of a mentor. “Dr. Mulligan, director of COSAM’s Office of Inclusion, Equity, and Diversity, encouraged me to apply to summer research opportunities to increase my awareness to the field of biomedical research,” explains Stokes. Stokes is the President of the Minority Association of Pre-Health Students, Vice President of the STEM Coalition of United Learners and a COSAM Peer Advisor. Alexis explaining her research at an event at Duke University. Alexis (first row, first person seated) with other students at the summer program at Duke University.